A Mormon family has made its Provo, Utah, home a sort of sanctuary for members of the local LGBTQ community. 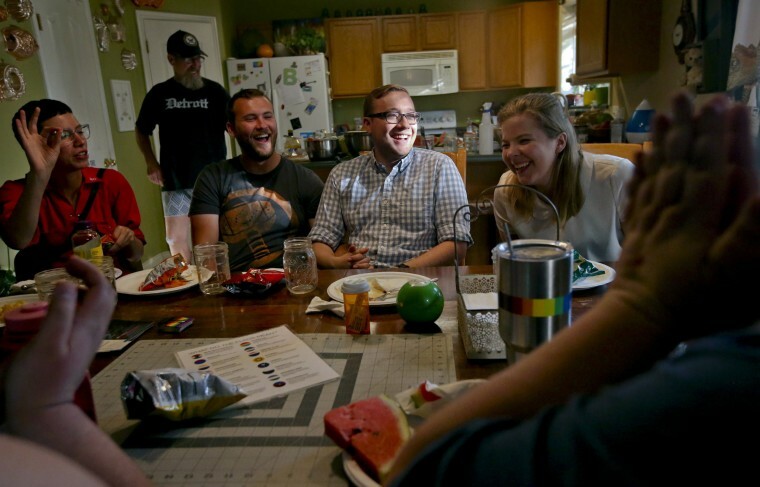 PROVO, Utah — A Provo family has made its home a sort of sanctuary for members of the LGBTQ community, especially those who need something to eat and a place where they can escape from suicidal thoughts. Jerilyn Hassell Pool and Jeff Pool run their nonprofit QueerMeals out of their home, the Daily Herald reported. The people that they serve typically do not have family and community members that they can depend on or have a difficult relationship with the Mormon church, Hassell Pool said. About half of the people that come in and out of their home daily are struggling with acute suicidal ideation, they said. Aside from meals, the Pools provide LGBTQ people with support and attention. They moved to Provo from Oregon in 2016 to work with the LGBTQ community, particularly those trying to find their place in the Mormon church. As a Mormon herself, Hassell Pool hoped to provide LGBTQ people with a space where they can gather and have a community. “Our goal is to empower people to thrive, to find healthy and happy outlets for their sexual orientation and gender expression,” she said. Their effort started as a small operation, but friends encouraged the couple to start a nonprofit after seeing photos on social media of their grocery hauls for the meals they provide. Cameron Raps, who frequently visits the Pools, said QueerMeals has helped him through difficult times over the past year. Although things are better now, Raps said he still makes a point to stop by at least once a week.